Whether you are looking to redesign your bathroom or want a quick and easy way to transform your space, this guide will help you to create the perfect room to relax in. It is not always necessary to invest in a complete makeover, which is why we have listed our top tips for making your bathroom look more impressive without having to start from scratch. Use the colour and style of your bathroom to determine the best design for a shower splashback panel. By adding more colour to your bathroom, you will create an eye catching design and draw attention to the focal point of the room – your shower. If you have white walls, choose a black splashback panel, and if you have dark walls, choose a lighter coloured panel. This idea exudes luxury and will give you the perfect backdrop for unwinding and cleansing. 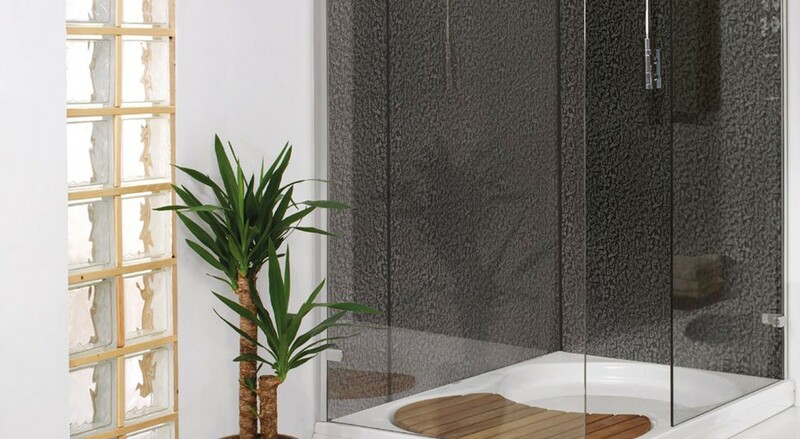 Take a good look at the walls in your bathroom and assess whether it is time for a change. If your walls are discoloured or outdated, this could be the perfect opportunity for you to change the entire look of the room in one easy step. The tile effect is popular at the moment and can look great in a range of colours. For a striking look, use dark colours for your walls if your sanitary ware is white. 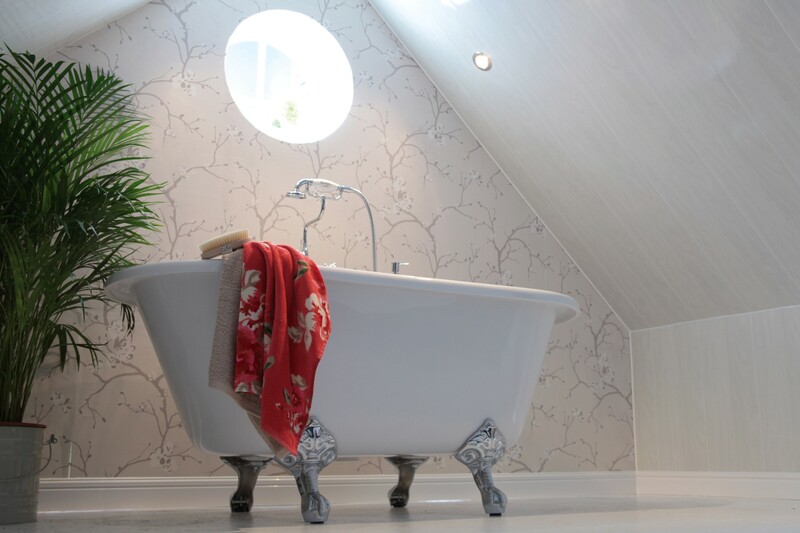 If your bathroom is small, try and use light colours on your walls to create the illusion of a bigger space. Flooring can change the entire feel of a room, which is why it is important to get it right. 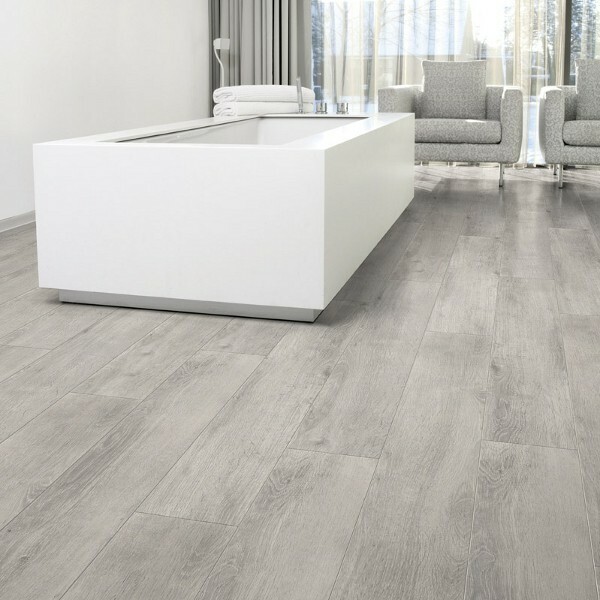 Making sure that your flooring complements the rest of your room is vital, and so use other elements of the room to determine what type of flooring you would like. Waterproof wooden flooring is a great choice as it’s chic, traditional and comes in a wide range of colours. 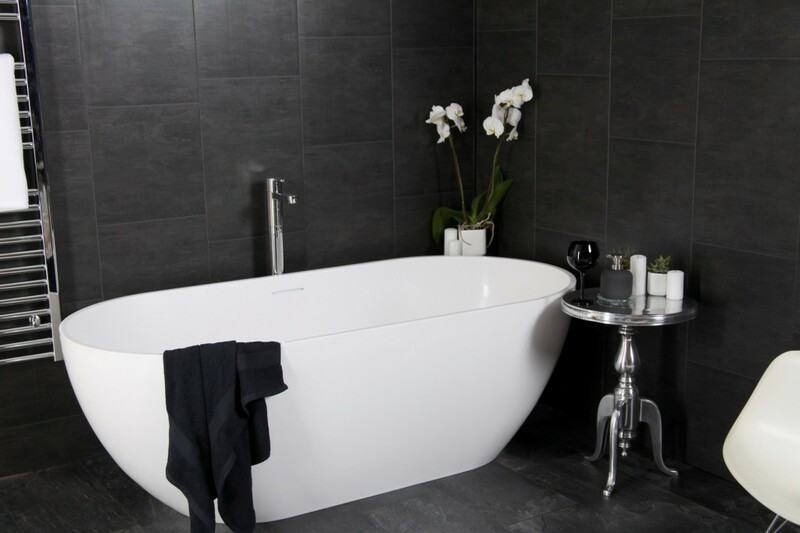 Whether you want a dark floor or a light floor, you can build the perfect mood for your bathroom and create a place that you look forward to relaxing in. Bathroom ceilings can often get mouldy and discoloured over time, particularly due to condensation from showers and baths. This is why it is important to use materials that are easy to clean and maintain. Wood effect panels will not only make your room warmer but will eliminate the need to repaint as well as adding a stylish finish to your bathroom. With an easy installation process, wood effect panels are a great way to add a modern twist to your bathroom with minimum effort. The best way to make a statement in your bathroom is by adding a dash of colour to your walls. Whether you want to feature an entire coloured wall in an otherwise monochrome bathroom, or use a selection of patterned tiles in one area such as surrounding your sink, creating a focal point in the room is an easy way to add character and style to your bathroom. If you don’t want to redecorate all of your walls but your bathroom is in need of something extra, try this top tip to create a contemporary look. 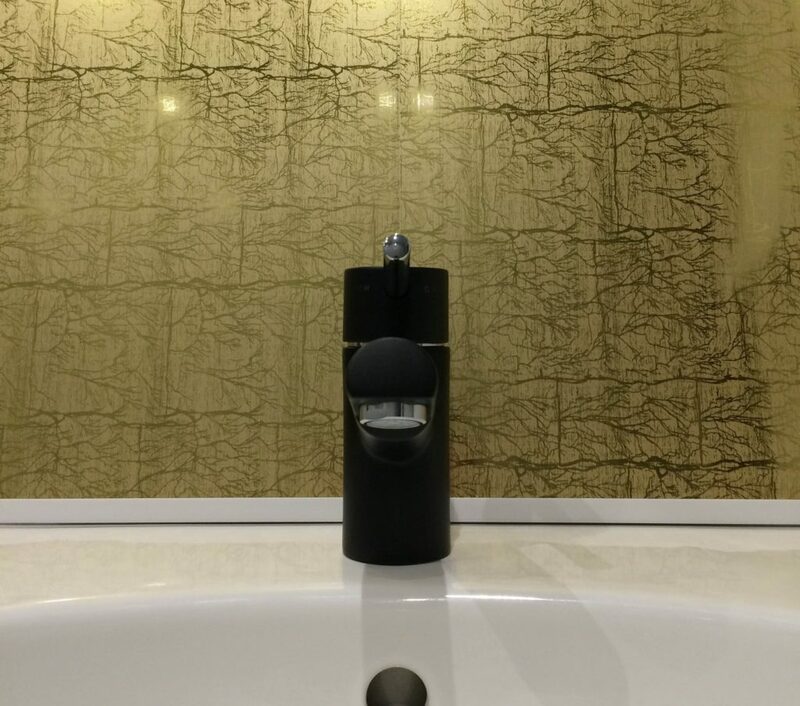 The best thing about this idea is that you can use any colour you like – a classic gold backdrop for black sanitary ware is our favourite look but the possibilities are endless!